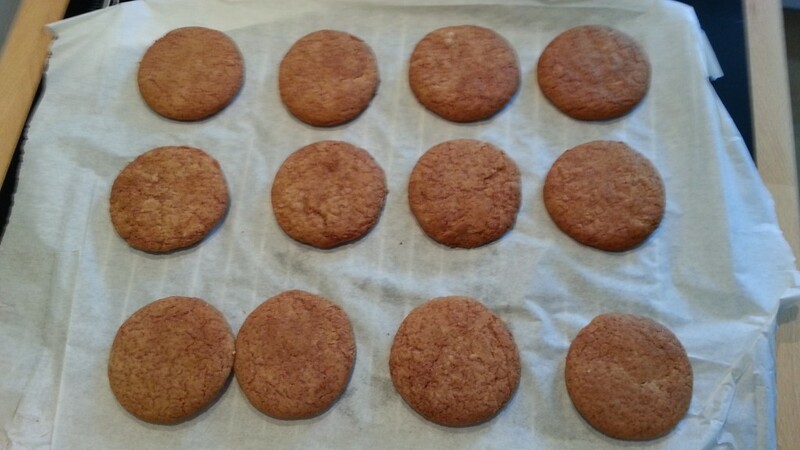 A quick and easy recipe for ginger nut biscuits - if worried about the sugar content then I think this could be reduced perhaps without affecting the final results. Rub in the butter using your fingers until it resembles bread crumbs. Add the syrup and beaten egg and continue mixing with the spoon/spatula. Bring it together to form a smooth pastry dough. Roll out the dough to about 8-10mm (1/4 inch) thick. Cook for 10-15 minutes until golden brown. Use a knife to move them to a cooling rack.